The Election Commission will sit in a meeting on Thursday with law enforcement agencies and armed forces to finalise security measures for the 11th parliamentary elections slated for December 30. 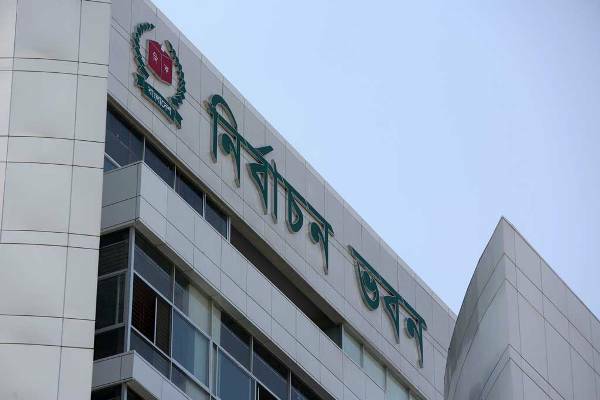 Top representatives from police, Rapid Action Battalion, Border Guard Bangladesh, Ansar and VDP, intelligences agencies and the Armed Forces Division as well as the 66 returning officers and the superintendents of police (SPs) of all the districts will join the meeting to be held at 10 am at Nirbachan Bhaban. Chief Election Commissioner KM Nurul Huda will chair the meeting. Other election commissioners and EC's top officials will be present. At the meeting, the EC will finalise the security strategy, particularly for 4-5 days, during the parliamentary elections and fix the number of security men to be deployed at each polling station. EC officials said around 7 lakh members of law enforcement agencies, including Ansar men, will be engaged in the election duty throughout the country. The armed forces will be there as the striking force for some specific days ahead of the election. Alongside law enforcers, a large number of judicial magistrates and executive magistrates will conduct drives against the polls violence and violation of the electoral code of conduct.